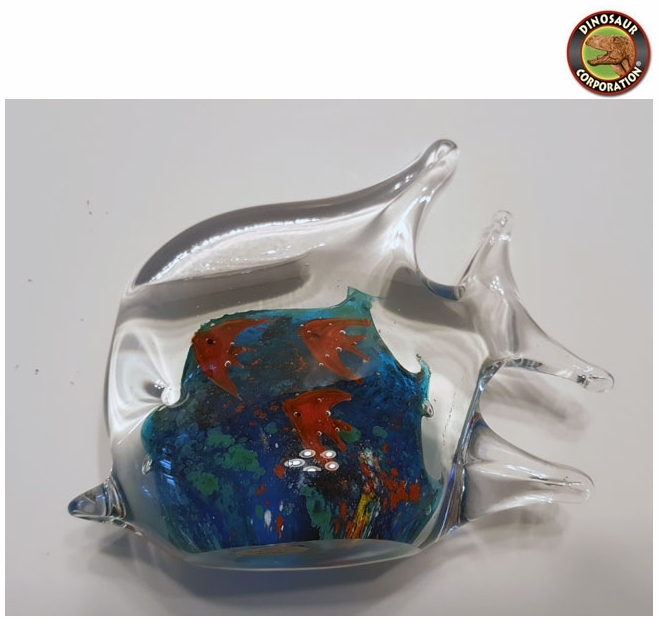 Murano Art Glass Paperweight Blue Teal Spirals Angel Koi Fish 5"
Angel Koi fish has a green and blue coral base with red fishes throughout the glass. She sparkles in the light and would enhance any decor. This beautiful fish measures 4.5 inches tall and 5 inches wide.